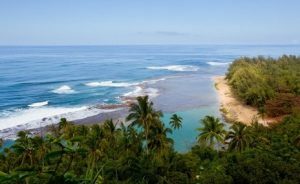 Whether its sun, sand or surf you desire, the Hawaiian Islands are known throughout the world for their beautiful beaches. Some imagine luxury hotels & lively crowds, while others think of tropical beauty on a secluded beach. Although many of the beaches are easy to reach, some require a helicopter or boat. 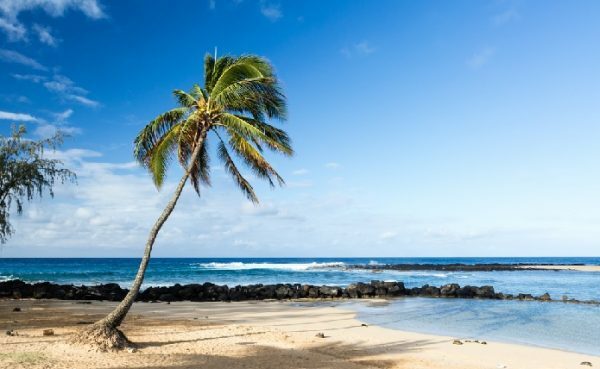 Here are a few of the best Hawaiian beaches. No matter what kinda beach you are looking for, you will find it in the Hawaiian Islands. Lanikai is popular with the locals and is frequently ranked among the world’s best beaches. The clear waters and palm trees makes this a popular place for sun-bathers and photographers alike. Popular activities on Lanikai Beach include: kayaking, sailing, swimming, surfing, and windsurfing. Located on west Maui, Kaanapali Beach is a haven for the water-sports enthusiast. Visitors will find many of their favorites including great snorkeling and scuba diving . With the nearby resorts, Kaanapali is busy and popular. Although you wont find a lot of solitude, what you will find is lots of fun, shopping, restaurants and people-watching. If that doesn’t interest you, there are boat-tours, fishing, kayaking, sailing and sunbathing. Located on Kauai’s south-side, Poipu Beach is a family-friendly place. The beach is roughly 1000 feet long and fifty 50 feet wide. There is also a small boulder breakwater which creates a protected pool-like area, which is good for children. Away from the swimming area, the shoreline gently slopes to the depths. The area bay creates year-round waves, which are suitable for body-boarders & surfers alike. Although Lanai is a secluded travel destination now, it was once known as the “Pineapple Island.” For decades pineapples was grown there by the Dole Company. Hulopoe Beach is located in Hulopoe Bay; the beach is known for its good swimming. Also because of the diverse species of fish and the clear water, the snorkeling is outstanding. Lastly, if you are looking for a great place for romance & intimacy, you have found it. Hanalei Bay Beach is known as one of the most beautiful beaches in the Hawaiian Islands. Located in the largest bay of Kauai Island, this two-mile long beach forms a semi-circle of white-sand. As a backdrop, Hanalei Bay has waterfalls and emerald mountain peaks soaring thousands of feet in the air. The shoreline gently slopes to the depths. Also there are coral reefs on each end of the bay. From boating to windsurfing many of the popular water-sports are available. Lastly, this place is very popular with surfers. This half mile long white sand beach is located on Hawaii’s west side. During the winter months, wild waves pound the shoreline. However during the summer months, the shoreline is more than 200 feet wide. The beach gently slope into a shallow sandbar, which extends 75 feet into the ocean. 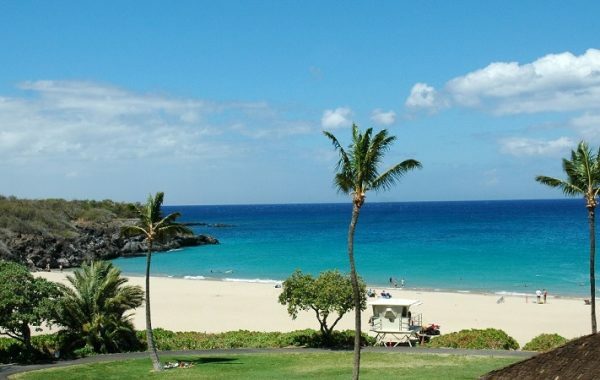 With abundant fish and coral, Hapuna Beach is popular with snorkelers. Also, the swimming and boogie-boarding conditions are excellent. For the traveler looking for a deserted beach, you have found it. Papohaku Beach is located on the west-end of Molokai, between Oahu & Maui. Papohaku is truly the place to get-away-from-it-all. On this remote island, it is possible the only footprints in the sand will be yours. Although the water looks inviting, strong currents makes swimming unsafe. Papohaku doesn’t have a protective reef and is exposed to the open ocean. I would love to visit Hawaii one day. The beaches look so refreshing. I hope you get visit soon; thanks for your comments.